Make your own mini bricks, while learning about soil composition and solar energy, from 60 Second Science. All you need is clay-rich soil, water, ice cube tray (or mold), dry grass, and a sunny spot outside. Place your soil into a bowl, add a little bit of water, and stir around with a craft stick until you get a "thick" mud consistency. Next, mix in your grass. Then, press your mixture into your mold and smooth your bricks out on top. 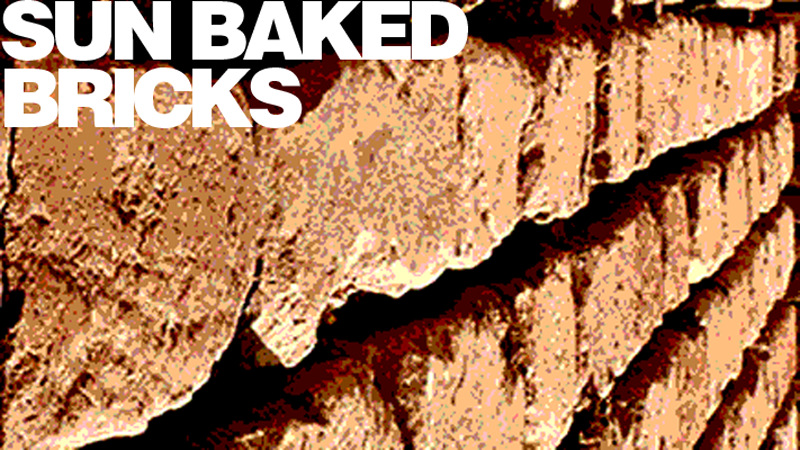 Now, bake your bricks in the sun! Talk about how the sun is a form of radiant energy, as well as thermal energy. The sun is a renewable resource that we can utilize to heat things up! When the bricks are ready, remove them from the mold and build something! You can keep your bricks natural or paint them. You can make houses for action figures, caves for animal figurines, etc.